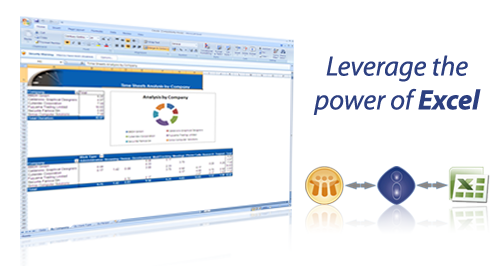 Supports automated Excel charting, Pivot tables, Filters, Macros etc. 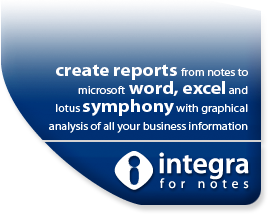 Integra for Notes allows users of IBM Lotus Notes to integrate their Notes data with Microsoft Office providing reporting, mail merge facilities and integrating Office documents into the Notes business processes. 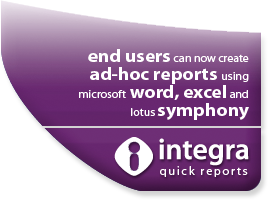 Supports Notes response hierarchies, multi-value fields, sub forms etc. 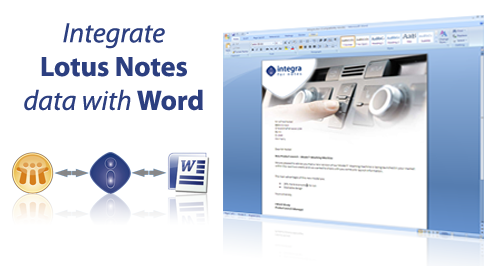 Allows creation of data from multiple views, as well as back-end databases such as, Oracle,SAP,MS-SQL etc.